Quote: BTW. I doubt any change in optical formulas above and beyond coatings and removal of VC with the Tamrons. I'm still unconvinced myself, though careful tests could prove this. Removal of VC is a mechanical change AFAIK - the corresponding element(s) stay in place, but in a fixed position. But is it enough to be called "proof"? Quote: I'm still unconvinced myself, though careful tests could prove this. Pentax just chose to not label the two elements as "high refractive". The optics are the same. You can't just use different refractive glass but keep the design the same. Don't forget about the anomalous dispersion element (in this case, it would be Tamron who just chose to not label it as such). As I said, I'm unconvinced myself; perhaps indeed the only difference is in notations. Perhaps not. Quote: What doesn't add up? All it takes is a bit of planning and thinking ahead, so they'd already start adapting the cameras when they planned the development of the electromagnetic diaphragm lens. The cameras, but not (vast majority of ) the new lenses? That's what seemed odd to me. Okay, point taken. I will not call you "fanboy" again . Also, each sold Pentax K-1 which is not bought by a Pentax-customer is a good sign to the big boys to put more effort in their models. I think, the effects of the earthquake will also depend on how many batches of sensors Pentax bought and got delivered, too. Because these days with lean-production the storage facilities are the trucks circulating between producer and client. 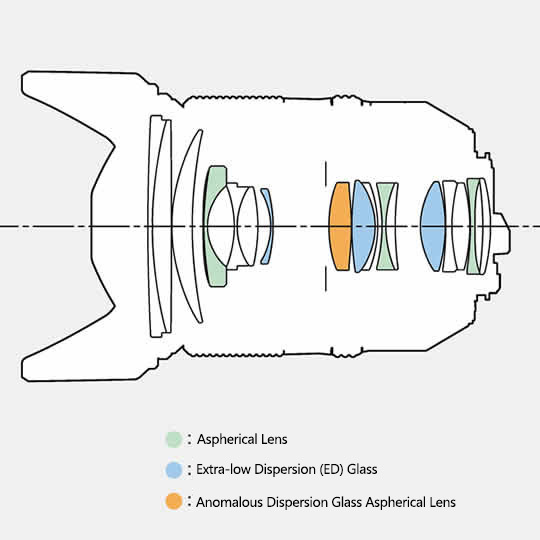 Quote: The cameras, but not (vast majority of ) the new lenses? That's what seemed odd to me. Not necessarily odd. They have to find a balance between advancing the K-mount (by getting rid - in the lenses - of the last mechanical control system), and not upsetting the users by suddenly breaking compatibility. That's why they might still launch new KAF3 lenses. As for the D FAs previously launched, was the technology even ready for them? Quote: Okay, point taken. I will not call you "fanboy" again . Also, each sold Pentax K-1 which is not bought by a Pentax-customer is a good sign to the big boys to put more effort in their models. I'm well aware that many things are not so rosy with Pentax, from reasons started back in film days. And IMO Hoya was a disaster (at least, by holding Pentax back when the competition moved forward, and by using a market share diminishing strategy). Now things are moving forward, new owner, we finally have the FF, new lenses including high-end ones; this is not the time for doom&gloom, but for moderate optimism.